The Friends of the Library is a volunteer group devoted to promoting and supporting the library as a vital part of the community through fundraising and promotional events. Membership in the Friends is open to all persons who actively support the purpose and activities of the group. An application is available at the library and a background check, required by the Borough of Rockaway, must be completed. For information about joining or details about the programs, please see the Library Director for a Friends/Volunteer Application. The Friends hold discussions via email and meet as needed at the Library. The group maintains a Book Sale Room on the lower level of the Library of "nearly new" books and media for children, teens, and adults. Each fall, the Friends hold an Annual Book Sale and appreciate your donations and purchases. The Friends' past purchases have included books, media, tables, chairs, and poufs for the children/youth rooms, as well as major funding and assistance with contests and programs, especially the Library's annual Summer Reading Program. 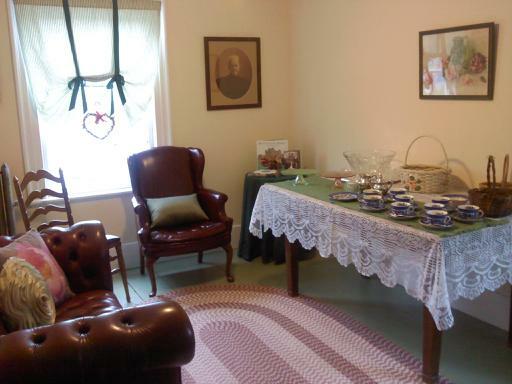 Most recently, our Friends' group generously donated both time and funds in graciously restoring our historic Museum Room and Tea Room.